Broadleaf evergreen shrub, compact, 2-3 ft (0.6-0.9 m) tall, greater width, whitish branches. 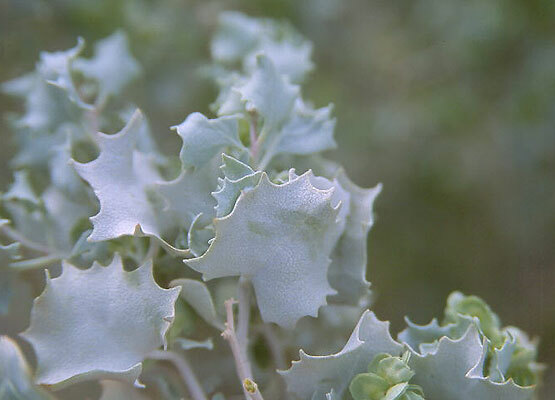 Leaves simple, alternate, silvery-white, purplish tinge with age, to about 4 cm long, similar width, irregularly and sharply dentate (coarse teeth, somewhat like a holly-leaf); will defoliate under extreme drought. 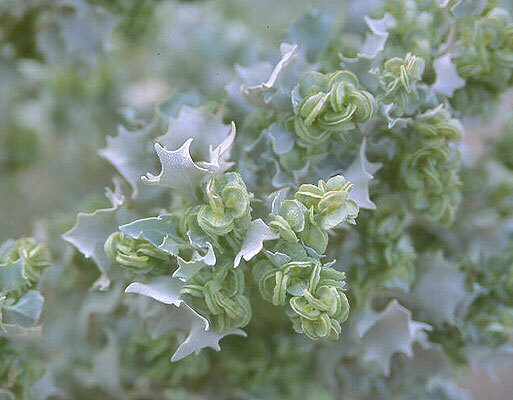 A dioecious species with male and female plants on separate plants. Small inconspicuous yellow to orange flowers form into disk-like papery fruits, 6-20 mm. Sun, need good drainage. No additional water need after established. 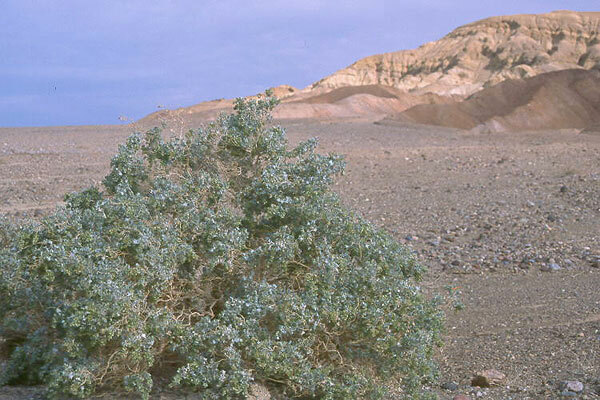 Hardy to USDA 9b Native to southwestern Utah, southern Nevada, southeastern California (very common in the Death Valley area), southwestern Arizona, Baja California, and Sonora, Mexico. Found on alluvial fans, in washes, and on stoney outcrops and ridges.